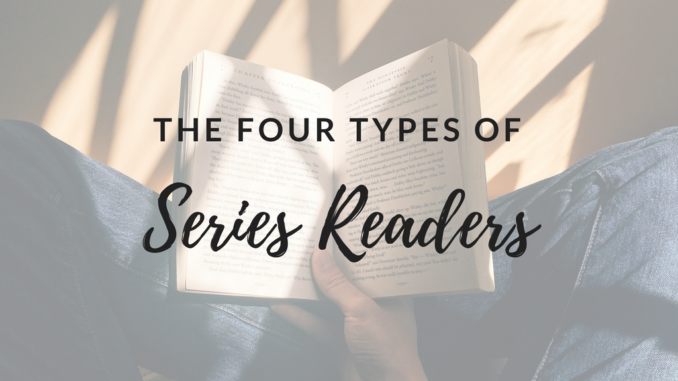 Terri Blackstock’s “If I Run” series is complete, and what we have discovered is that there are four types of series readers in the world. The first group of people reads the books as the series progresses. They need the next book, but revel in the fandom or shipdom in the meantime. Percabeth, Galeniss*, Wild Hopps, Bughead — we see you. You may or may not find them trolling tumblr, chat sites, and writing fan fiction to pass the time until the next book releases. By the time the next book in the series comes out, they have already developed such deep fan fiction and so many complex theories, the actual book will pale in comparison. It’ll be a total Carry On, Simon Snow situation. These folks are never reading GoT. The second group of people waits until the entire series is finished before diving in. If you bring them the first in a series, they will audibly hiss like a cat and dive back into The Princess Dairies (because they earned that one, by Jove). Abstainers are patient, but only if they live in blissful ignorance. Don’t try to tell them plot points or sell them on characters. They take pride in bingeing and you can’t talk them out of it. In fact, it would be super great if they could get an iron clad agreement from the author that there will be no future installments and/or the author is dead. Just step away and let them read/watch in peace, and you’ll be fine. The third group of people are the ones who accidentally stumble in to a series without realizing it. They read the first book thinking it’s a standalone, or start a middle book and start to think…I’m missing something. This is very easily done with those long series that like to tout their books as “stand-alones.” We all know they aren’t really stand-alones, Patricia. Tantrums and angry outbursts typically ensue when the Clueless realize they have stepped into a series…and now they’re stuck. They made the commitment. Now they will have to live with their rage and shame at already knowing important plot details, and will struggle endlessly over whether or not it’s worth it to go backwards and start from the beginning. The final group of people are the ones who won’t finish a series because they don’t want it to end or it takes a dark turn. If they don’t finish it, the end will never come. Drop-Outs usually avoid the ending due to a powerful love of the series, or because the ending is depressing / death-filled / anticlimactic and they want to live in their perfect safe brain world. It’s like Schrodinger’s Jack Dawson Cat. As long as they don’t reach the ending, Jack Dawson the cat is both alive and dead. (Have you heard about Titanic-ing?) If you’re a Drop-Out, make like Shia LeBouf, and just do it. Just finish it. Then you can start at the beginning and do it all again! However, we have good news! No matter what group you identify with, we have a series for you. 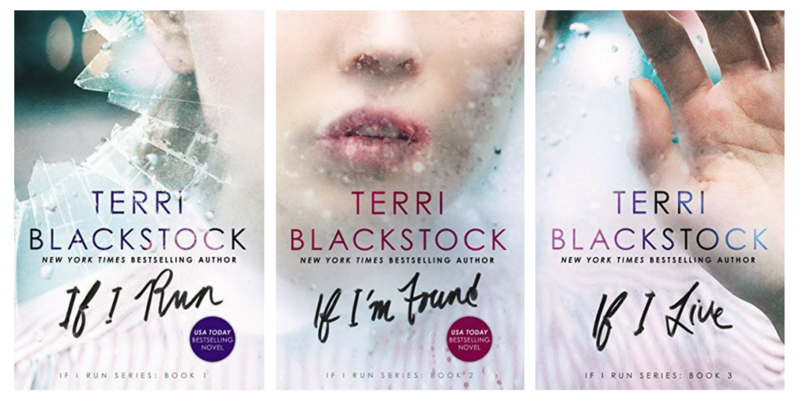 One of our favorite series – Terri Blackstock’s “If I Run” – has *finally* concluded with If I Live. Junkies, start your races. Abstainers, your time has come. To my sweet Clueless friends: the first in the series is called If I Run which is what the whole series is called – like the “Hunger Games” or “Twilight” – so you should be safe. And finally, Drop Outs….well, if you don’t want to read it, at least buy it for how amazing the books look together. Kayleigh is an active friend to the Page Chaser team and enjoys practicing her English accent and drinking tea – an Anglophile to the end. If you want to follow Kayleigh, check her out on the Page Chaser Instagram, Facebook, or at the movies using her Movie Pass. 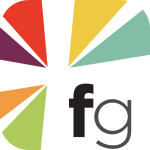 HarperCollins Christian Publishing, Inc., operates Page Chaser, the publisher of If I Run, If I’m Found, and If I Live. * As also mentioned in our When to Quit a Book post, Rachel, who edits these articles, believes that everyone is entitled to their own opinion, but Gale and Katniss is the wrong opinion. Let’s talk. Is it Okay to Ship Real People? QUIZ: How Well Do You Understand God’s Love for You?